We've seen horrible fails on social media time and time again. You want your content to go viral, but not for the wrong reasons. In this Friday Fails episode, let's talk about the latest fail on social media and steps you can take to make sure this never happens to you! Hi everyone! I'm Bridget and welcome to this week's edition of Friday Fails. So this week let's take it back about 2 Fridays and think of where we were. We were all enjoying a hot dog or two, maybe having a beer, watching some fireworks. It was Fourth of July! And nothing is more American than Fourth of July and fireworks. Well then a bit of a corporate social tragedy occurred. And a lot of us can remember this because it blew up. Of course we all want our content to go viral but not for the wrong reasons. 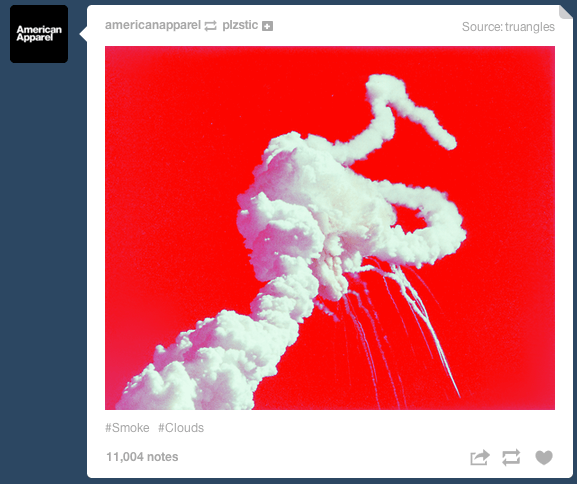 So we all remember this doozy, the photograph of "fireworks"that American Apparel posted to Tumblr. Which in actuality is a sad and tragic photo of the Challenger exploding soon after it left planet earth and exploded in the sky. Soon after it went onto Tumblr, it went onto Twitter where it went absolutely viral. It is now considered probably one of the most disturbing and upsetting posts that got out of control on social media. 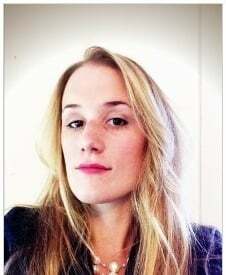 There was a big backlash and an instant response from American Apparel, but the damage was already done. This is one of the real fears of bad social media. It's one of the real things that we need to be careful of as social media experts when representing our company and using those social media channels. This one is not a topic that's not been covered before. I remember last Thanksgiving when JCPenney had some misspelled tweets that went pretty viral as well. So what we don't want to do is be the company that has the big misstep and goes viral for all of the wrong reasons. Make sure that the social media person in charge of all your social media channels is in line with marketing and knows your company and your brand. You're less likely to make a mistake when you're so entrenched in the company and you understand the in's and out's and the audience that you're reaching. Another way to avoid being part of this nasty fail is to have a social media strategy. While it's good to have an occasional ad hoc post and be in the moment and share with people, you also can put a strategic content plan in place using HubSpot's Social Inbox. Have things scheduled out that are related to the strategy and don't take that risk (especially on a big event and a big day when a lot of companies are sharing and tweeting). Make sure that it's already gone in line with the strategy, and it's already been given the thumbs up. That way everyone's got their eyes on it and we all know that you're doing the right thing and you're sharing the right message. Another way to fix this is to plan ahead people. Again, HubSpot Social Inbox really can fix this big problem for a lot of people. Again, ad hoc is great when you're in the moment and it's kind of neutral information to be sharing. But plan ahead and have someone else look at it. Editing your content is another way to avoid having this mistake and then having to have a PR firm fix your name for you. So have someone else look at your content and talk about it within your marketing department. Make sure that it's not all on you, you're planning ahead and making sure that it's really targeted content to the right audience that's appropriate. So again everyone, avoid these social media mistakes. Don't allow yourself to be part of this big fail. Thank you again and stay tuned for next week's edition of Friday Fails!